Brandon Caron from Rockland, Maine, took a photo at the Bunker Hill Monument of the teens from his mentor group. The partial federal government shutdown ended Friday night, but resuming business as usual was a work in progress Saturday. 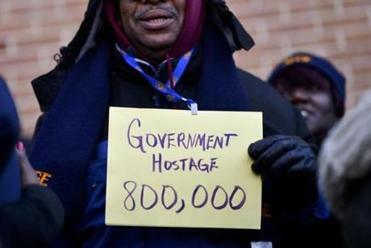 Across Boston, federally operated sites like the John F. Kennedy Presidential Library and Museum remained closed and furloughed government employees waited for instructions about returning to work even as they faced the possibility that the system would grind to a halt again in three weeks. 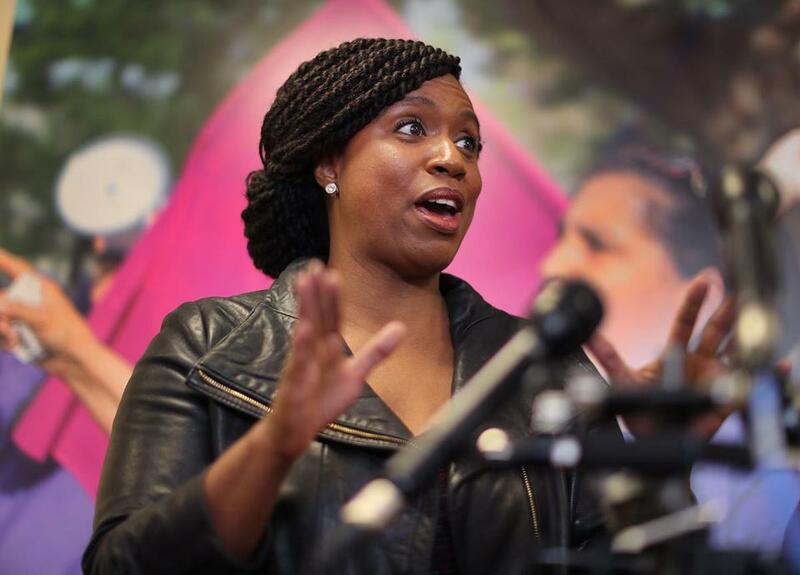 “This was a completely manufactured crisis,” US Representative Ayanna Pressley told reporters after meeting in downtown Boston with 18 federal workers affected by the shutdown. Sajid Shahriar, a local union leader for federal employees, said his fellow workers want to go back to their jobs but worry about President Trump’s threat of another shutdown if Congress doesn’t set aside $5.7 billion to build a wall on the southern border. Trump had long promised that Mexico would pay for the wall. “If this continues on after the next three weeks, it’s going to get to get exponentially worse for the folks who work in federal government, and we can’t have that,” said Shahriar, who works for the US Department of Housing and Urban Development and addressed the media with Pressley. The legislation signed by Trump to reopen the government pays for operations through Feb. 15. The hurdles associated with reopening government after 35 days on hiatus were obvious. Gary Gissell, a high school government teacher from Glen Ellen, Calif., found a locked door Saturday morning when he approached the entrance to the JFK library and museum in Dorchester. The library is operated by the National Archives, which announced on its website Saturday that presidential libraries will be closed to the public through Monday. Rachel Flor, a spokeswoman for the John F. Kennedy Library Foundation, said the staff hasn’t heard when the site will open. The foundation is a nonprofit that supports the library and museum. Flor said its employees have been working remotely since the federal government closed on Dec. 22. On Saturday afternoon, a National Park Service official in Boston announced three sites were resuming limited operations Saturday and Sunday. 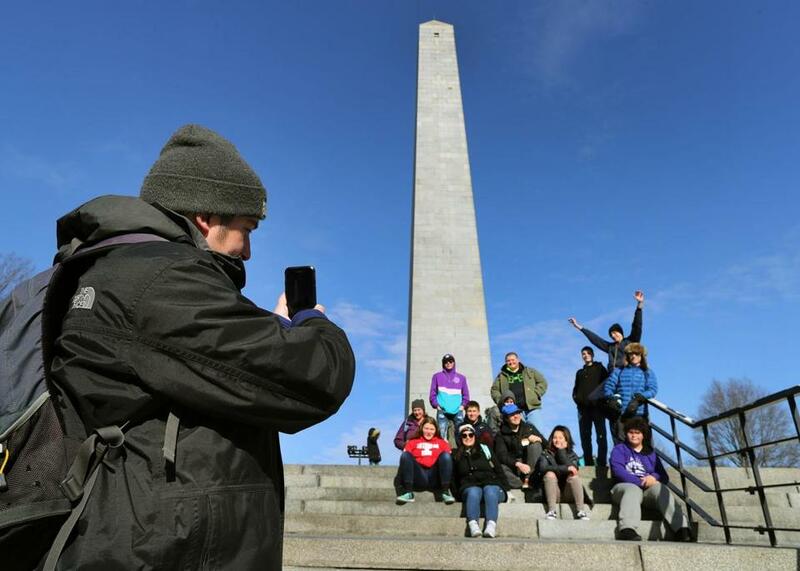 The park service celebrated the reopening with a Facebook video filmed at the Bunker Hill Monument in Charlestown. In the 11-second clip, a person opened the door to the lodge at the base of the monument and approached a ranger with his back to the camera. Then the ranger turned around. “We’re back, baby,” he said, giving a thumbs-up sign. Michael Creasey, the general superintendent for the National Parks of Boston, said in a statement that the sites are expected to run on a regular winter schedule beginning Monday. Park websites will be updated with details, he said. Creasey thanked the public for its support during the shutdown, saying the approximately 100 park employees in Boston are happy to return to work. “So many people offered all types of support to park staff and their families during the period of the government shutdown; we are most grateful,” he said. Earlier Saturday, visitors couldn’t enter the monument. “We just walked up and the doors were locked,” said Brandon Caron, who was visiting from Rockland, Maine, with 14 teenagers from a mentoring organization called Trekkers. The group also visited the USS Constitution. The ship was open to the public, but the visitor center was closed and no tours were available, he said. Still, the teenagers were enjoying Boston, he said. Next month, the teens plan to travel to Washington, D.C., for five days, he said. “We’re just hoping things open back up before our long trip,” Caron said. Shahriar, the HUD worker, said he hasn’t heard from his boss but plans to report to the Thomas P. O’Neill, Jr. Federal Building on Monday. “I’m very proud to be going back to work,” he said.